This is a GPS-based position tracker and logger. 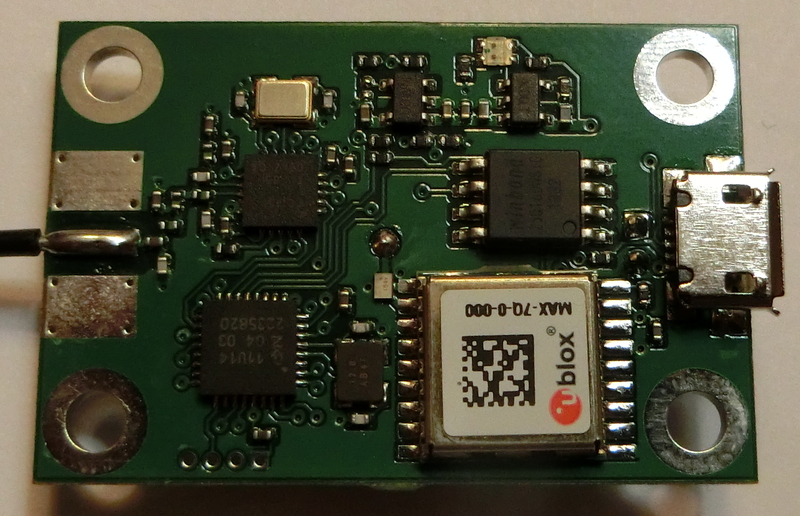 It uses the same GPS receiver and similar radio to our flight computers, but does not include pyro circuits. 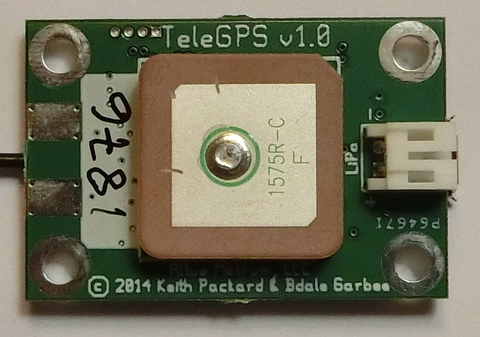 This allows the board to be small and light, so that it will fit well anywhere you need a good GPS tracker. For the latest TeleGPS firmware and related ground station software, please visit the AltOS page on this site. The manual for TeleGPS is available in html and pdf formats. The TeleGPS application runs on Linux, Mac OS X and Windows. It's written in Java and offers the same functionality and interface on all three platforms. It uses the FTDI USB Serial drivers to communicate with the hardware. If you're running Mac OS X or Windows, a compatible version of those drivers is included with the software. You can also install a different from from the FTDI Driver page. TeleGPS is part of the larger AltOS suite of software, which also includes a dedicated MicroPeak application. Uses 3.7V Lithium Polymer battery. There is a single manual for TeleGPS and all other Altus Metrum products, which is available in html and pdf formats. The hardware design files can be found on git.gag.com in the project hw/telegps.